Baking a cake, designing your own Halloween look or giving your tired garage a new look, anything could be your next ‘Do It Yourself’ project. Most people find watching DIY videos on the web fun, irrespective of whether they get down to doing the task or not. But many others try their hands at doing something new. DIY projects include makeup tutorials, home improvements, everyday hacks and even professional level work, among others. It enables people to do things they were otherwise not equipped to do, it helps them express their creativity and it also helps in bring down costs in some cases. But the biggest question is how to make the difference between what can be done by oneself and when it is advisable to call in the expert. Despite having a host of roofing companies in San Antonio, why would someone still consider DIY roofing over hiring the experts? Having the roof above your head is a sign of safety, no pun intended. But we aren’t talking about that safety. The most important part of roofing is working physically on the roof. You may have fear of heights or not, moving across the roof and also doing the roofing is a dangerous proposition. One fall could prove to be extremely fatal. 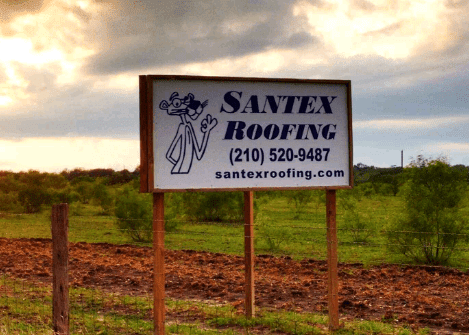 You may be able to do the roofing after some research but will it have the result as that of professional San Antonio roofers? While breaking the old roof tests your strength, rebuilding it tests your skill. Whoever does it, the end goal is to see that the new roof is successfully completed. Do you think you can do it yourself? The main purpose of roofs was and will always be the functionality. It provides a protective envelope to your house from different weather conditions, birds, animals, heat, wind and sunlight. But the aesthetic appeal of a well-done roof cannot be denied. Depending on the material, colors and style you choose, it can lend your house a distinct look. A shoddy job, on the other hand, can simply ruin the look. Doing the roofing is quite like baking a cake. You would put all the right ingredients at the right times and wait for the perfect cake and yet the cake could be far from perfect. Imagine if your DIY roofing project fails, undertaking the corrective action would involve additional costs. DIY can be cost-effective only when done 100% right.